Ah, Sweet Mystery of…instant stardom and romantic chemistry! 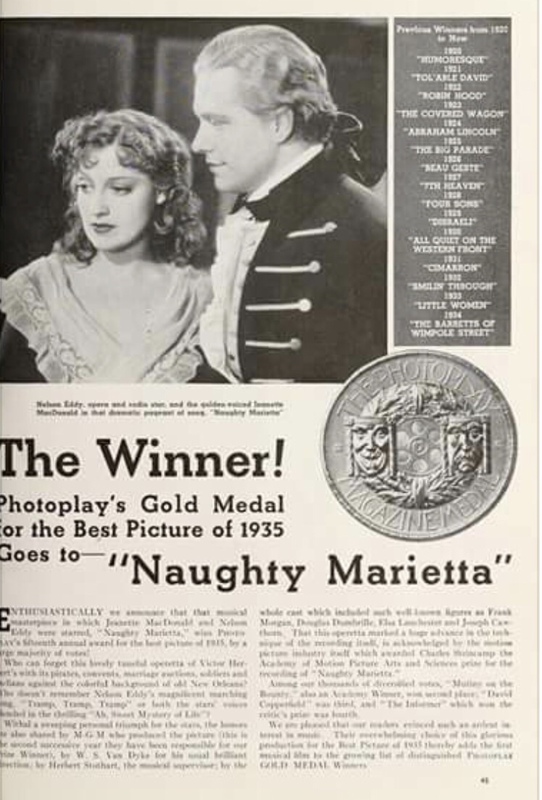 Translation: Naughty Marietta was the sleeper hit of 1935 and beat out Mutiny on the Bounty in Photoplay magazine as the best film of the year. 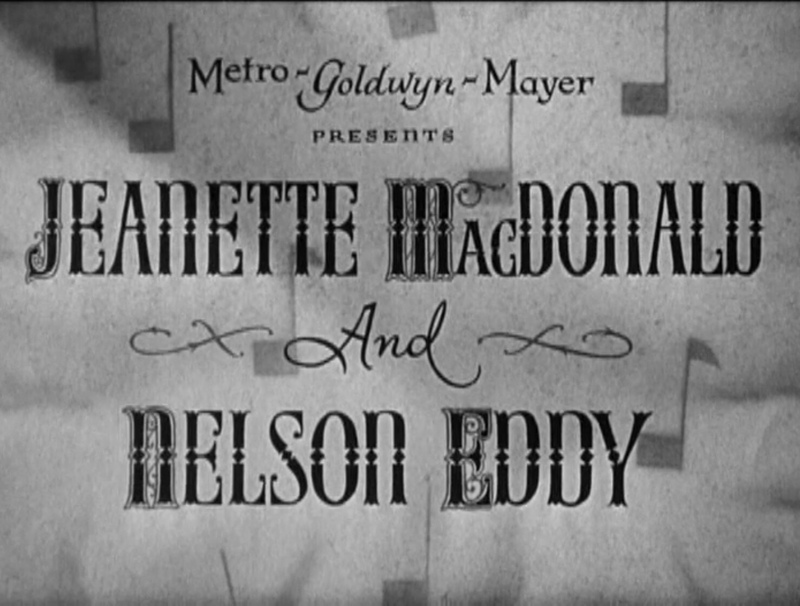 Another amazing fact, Jeanette MacDonald pushed to have Nelson Eddy receive equal billing with her. Remember in her early films with Maurice Chevalier this was not the case even when she too became an overnight star with her first film, The Love Parade. 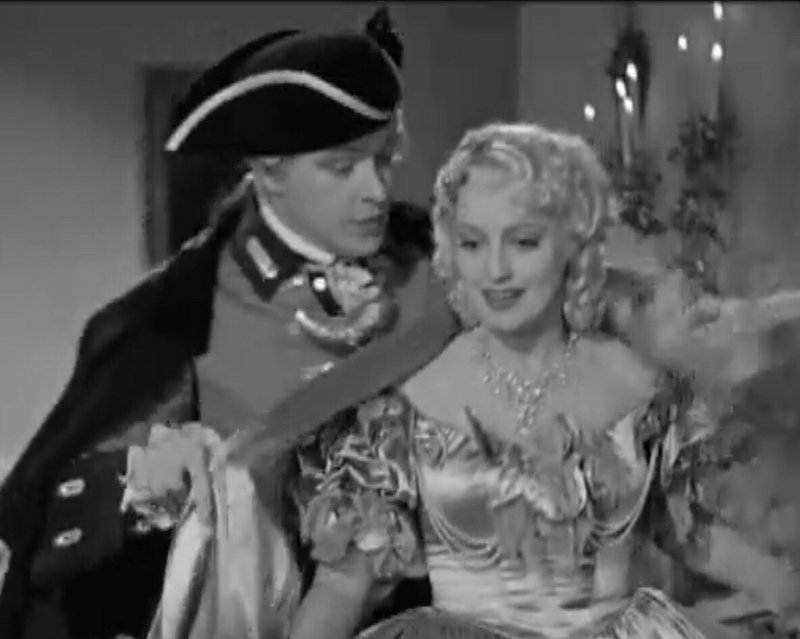 At the beginning of filming, Jeanette was already on the outs with Nelson as she had turned down his first impulsive marriage proposal and was totally focused on her career. This only added to Nelson’s insecurities in working with her and the rest of the amazing talent in the film. 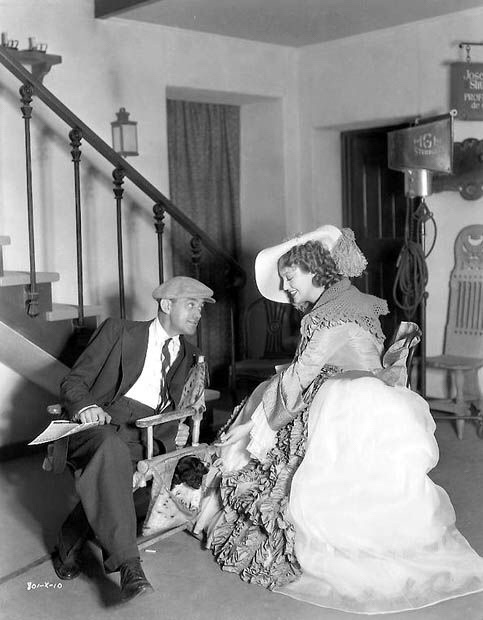 Jeanette was a diva at the beginning of shooting but came to respect and love director Woody Van Dyke, who went on to helm most of her films with Nelson as well as some of their solo MGM projects. Woody became one of their closest confidants and even once saved Jeanette’s life. 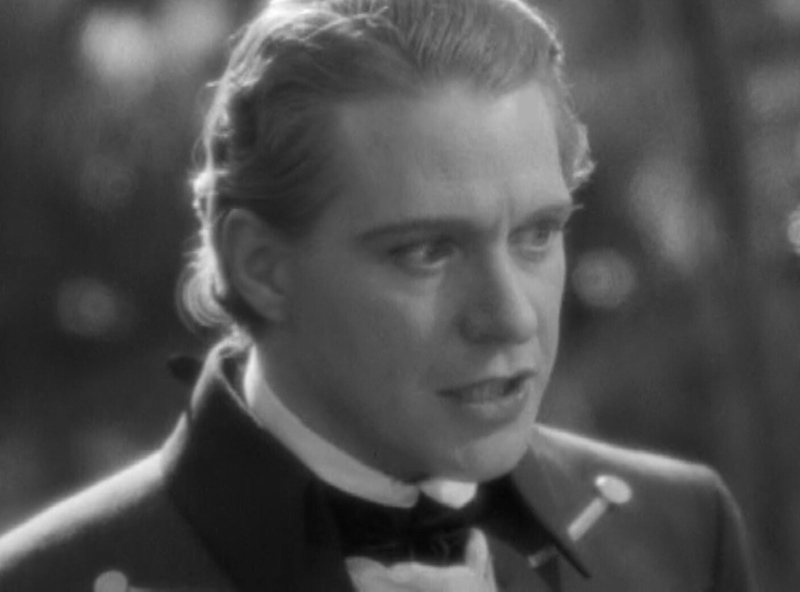 For Nelson Eddy, filming his first starring role in Naughty Marietta would prove to be a strange new world not only because he was already in love with his leading lady…but he was working with amazing actors such as Elsa Lanchester and Frank Morgan. 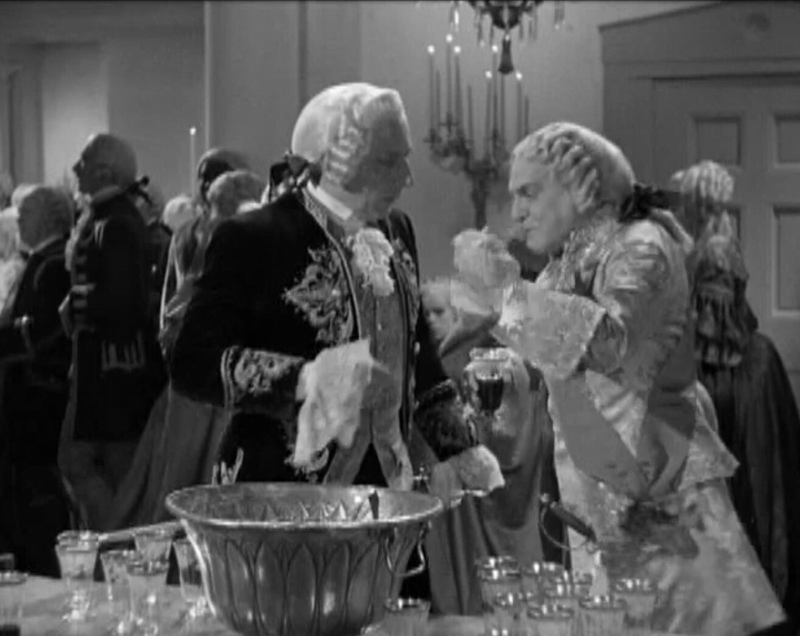 They were hilarious and in the scene pictured below, Nelson had to struggle not to laugh; you can see him looking down, breathing deeply and trying to keep his composure to stay in character. 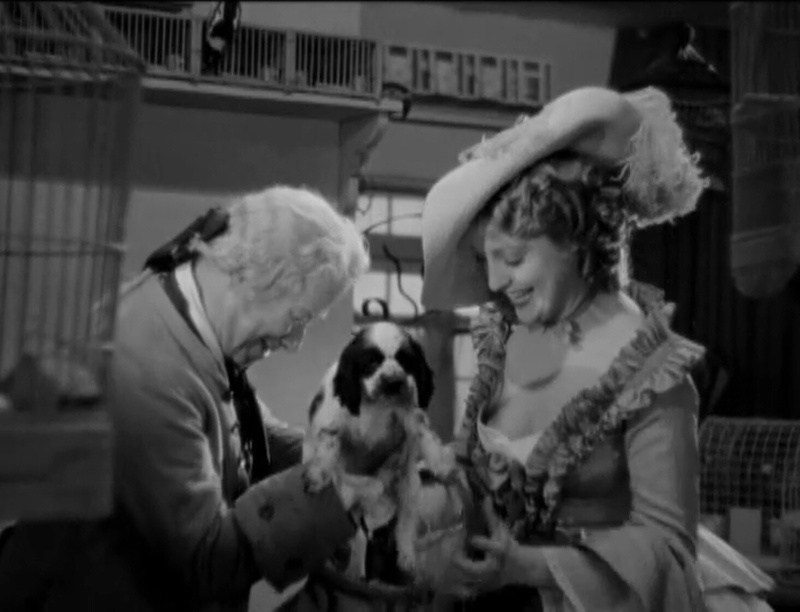 Jeanette MacDonald played a princess and in an early scene, she is presented with a puppy. Watch carefully as there were different puppies from the same brood used in this sequence. Below, a puppy with different markings. Child actress Cora Sue Collins speaks to Jeanette in this shot. And in this shot, the puppy licks her chest! 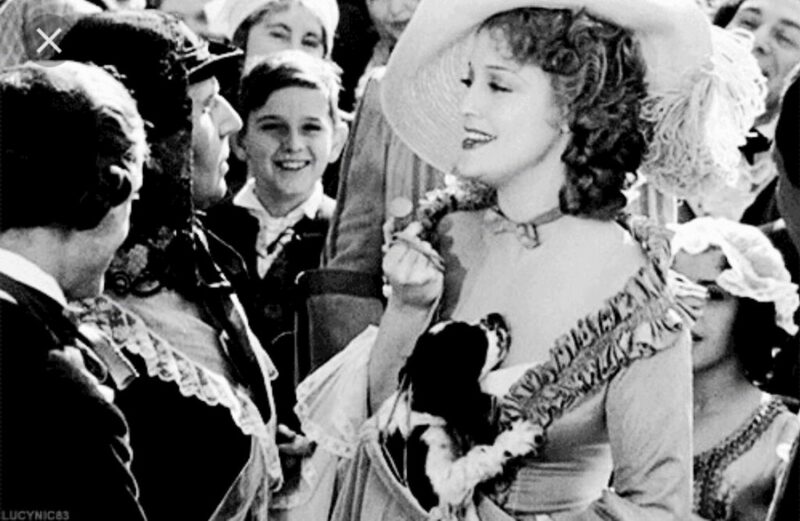 Note the grinning boy watching next to Jeanette; she remains in character and continues the scene. 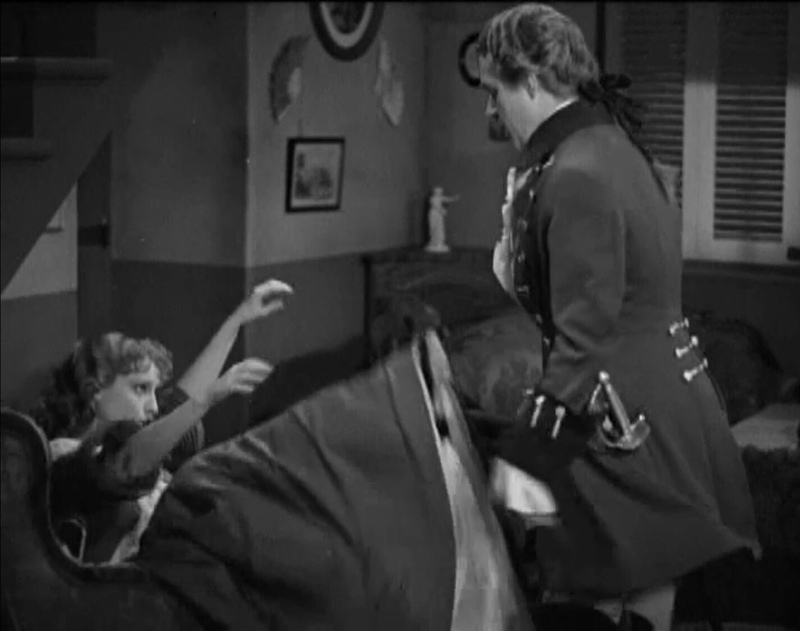 By nature, many operettas are melodramatic in their plots but director Woody Van Dyke kept it lighthearted and utilized Jeanette’s natural comedic talent such as in the scene below. Nelson finally burst onto the screen singing “Tramp, Tramp, Tramp” and a star was born. A natural redhead with white eyelashes and eyebrows, he had to be rather heavily made up to photograph properly. In the shot below, Jeanette and Cecilia Parker listen to Nelson singing. When I interviewed Parker she confirmed that she and Nelson had dated but it was not serious or lengthy. 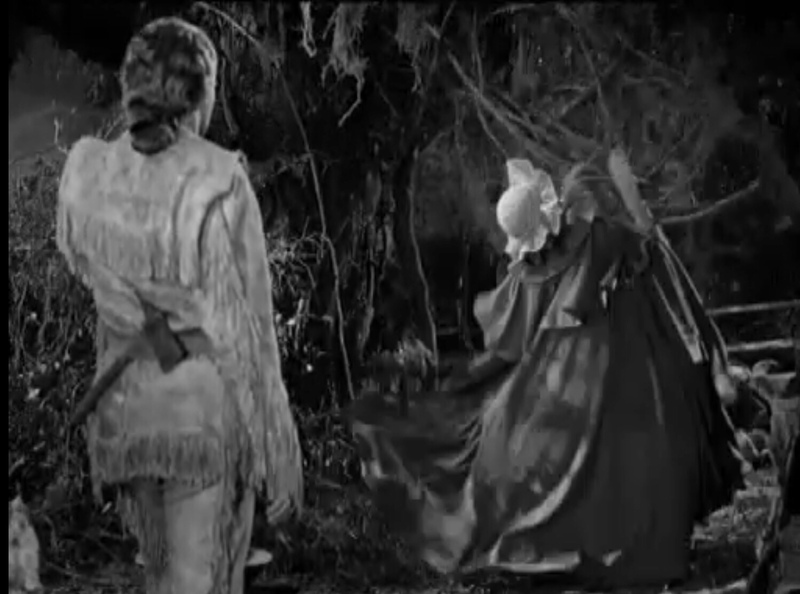 Blooper: Jeanette walks away…right into a tree branch and Nelson chuckles. 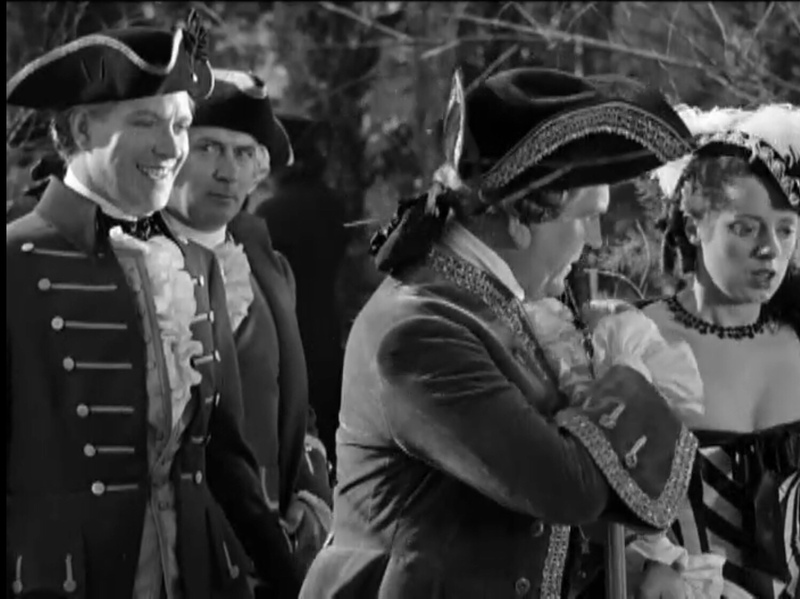 Nelson cracks up at the antics of Frank Morgan and Elsa Lanchester who, interestingly enough, was also in Nelson’s last film, Northwest Outpost. We discussed that in a phone interview I did with her and she assured me that her discussion of the early MacDonald-Eddy relationship while filming was in her upcoming autobiography; however, whatever she did write was cut in the final book editing. 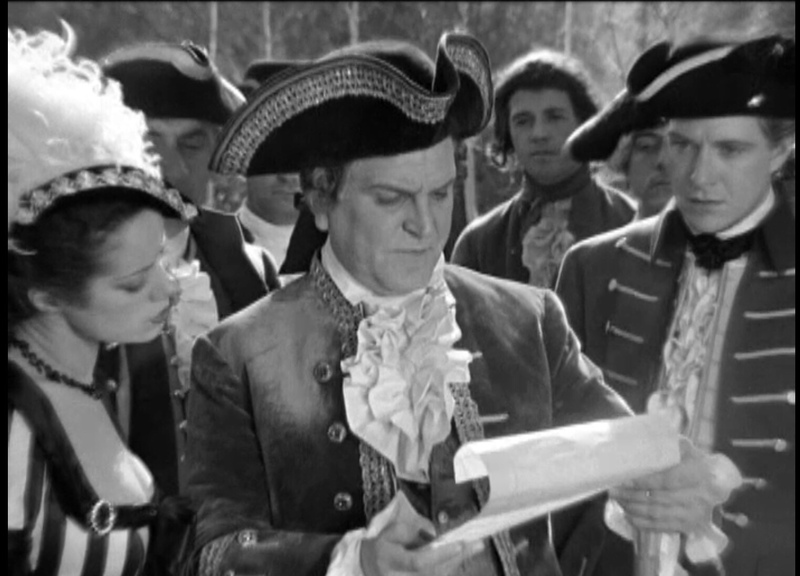 Below, while Elsa Lanchester and Frank Morgan are busy acting out the scene, Nelson is busy staring at Jeanette… a common occurrence on this and frankly, all their other films. Below, the innkeeper below was played by Nelson’s voice teacher, Dr. Edouard Lippe. And the fact that Jeanette’s character was given housing in the “red light” district was akin to an R-rating for the film. Blooper: Jeanette wore a longish wig in this sequence…but in the close-ups of the same scene, she had a shorter wig as seen below. Blooper: Nelson shoves Jeanette too hard into the chair and nearly knocks her over. Woody left the shot in although there is a quick cut afterwards to a different shot of Nelson apologizing. “A princess?!?!? !” The delivery of this line is just fine in the final print but the first time they filmed it, Nelson overacted and felt humiliated because everyone burst out laughing. 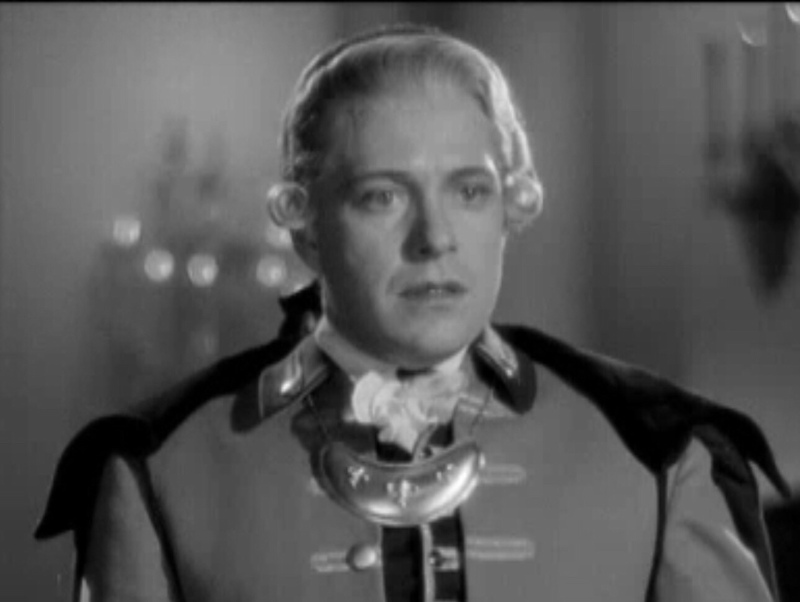 Blooper: Frank Morgan choked on his drink and milked it for comedic effect in a wonderfully ad-libbed sequence. 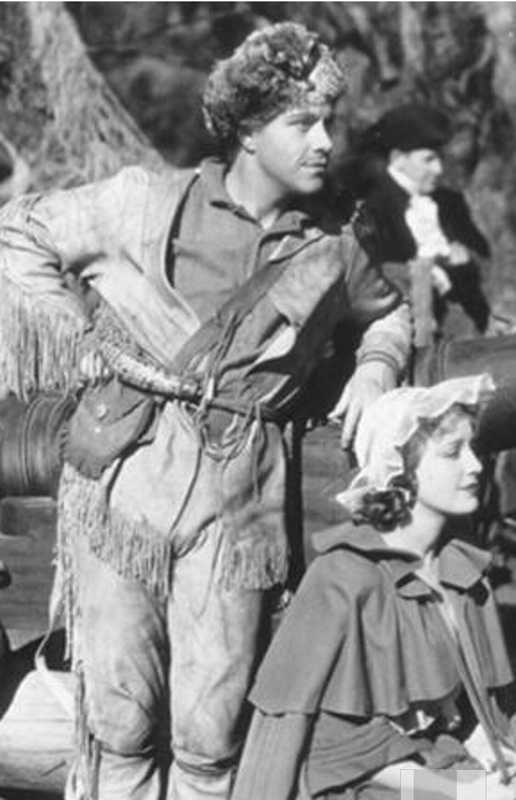 Woody Van Dyke was a sharp director in this regard, allowing his actors to be themselves whether it was the Jeanette/Nelson films, the Thin Man series or his other classics. 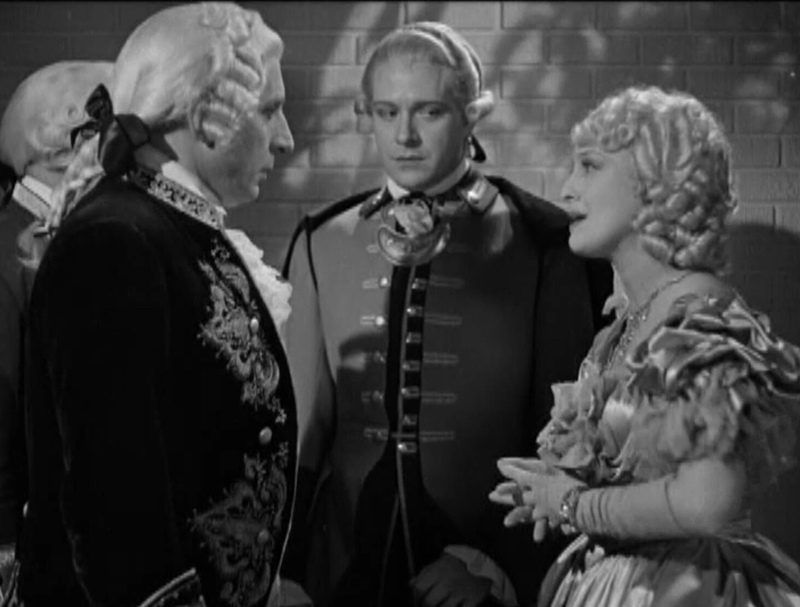 Nelson’s busy gazing at Jeanette while stern Douglas Dumbrille scolds her. Dumbrille worked with them on a few films and told me “they were always crying” about some angst in their relationship and he much preferred to work with the Marx Brothers. 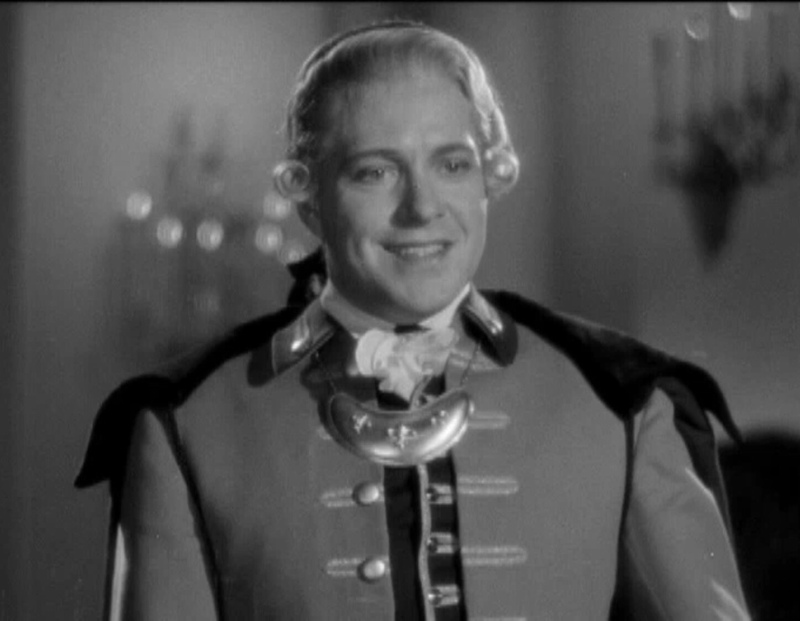 Woody Van Dyke quickly saw that Nelson was a natural actor and it was best to let him react to Jeanette in his own winsome manner. That meant watching her a lot like below, either “beaming like a headlight” (his mother’s term) at her or gazing at her with puppy dog adoration. In the climactic love scene, they share their first on-screen kiss. Jeanette’s busy emoting the scene but once again, Nelson just grins. …which brings about an instant physical reaction in her bosom as one can see through the material of her dress. As their characters make their escape at film’s end, we see the first real instance of intimate finger play which would become more prominent in their films…and candid photos as well. 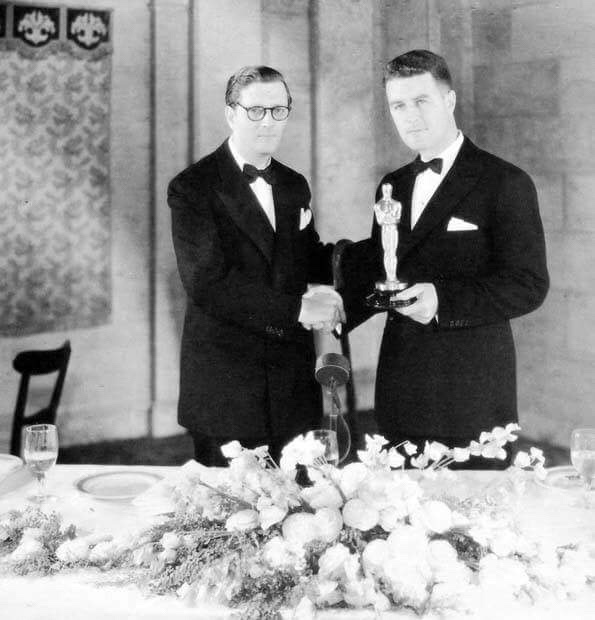 Douglas Shearer (Norma’s brother) won the film’s only Oscar for sound recording; it was also nominated for Best Picture. 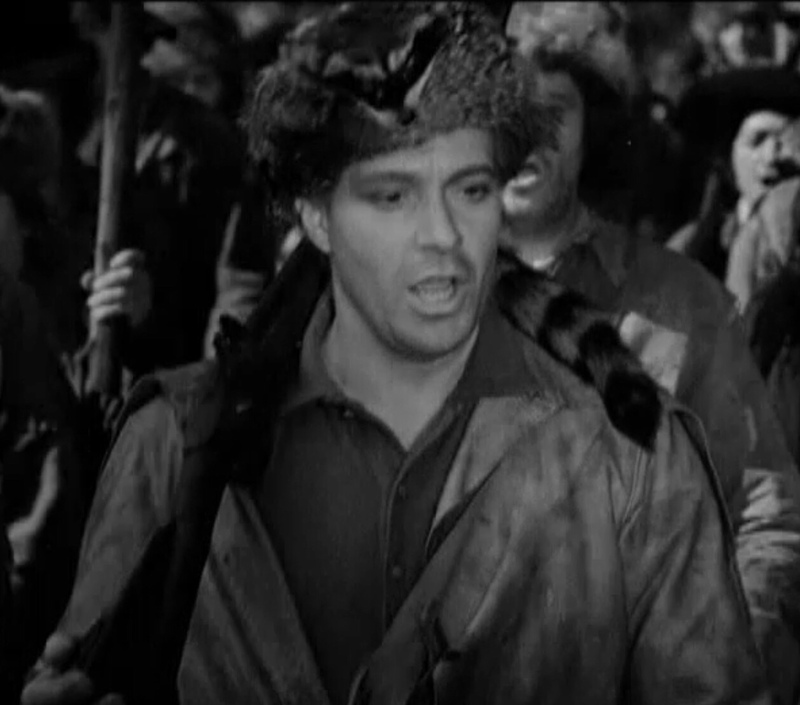 The film’s main duet was a huge hit and their first duet release on record; fans included Jean Harlow and when she passed away a scant two years later, they sang “Ah, Sweet Mystery of Life” at her funeral. 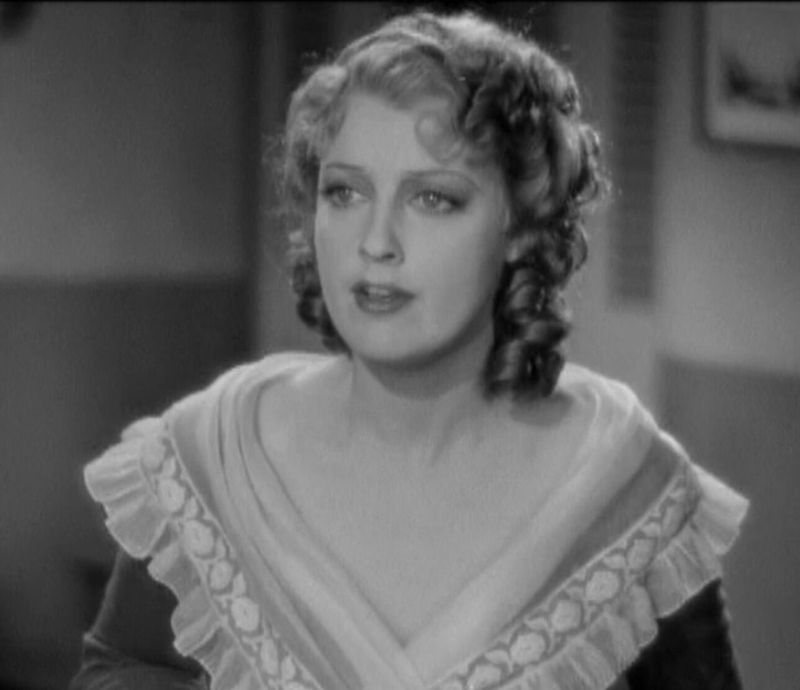 There are some who bemoan the fact that after this film, Jeanette MacDonald never returned to the comedic, risqué type of roles she played early in her film career, mostly for director Ernst Lubitsch. There were two reasons for this. One: she was now escalated to Hollywood super-stardom, in that rarified stratosphere of other MGM stars like Norma Shearer, Jean Harlow and Greta Garbo. 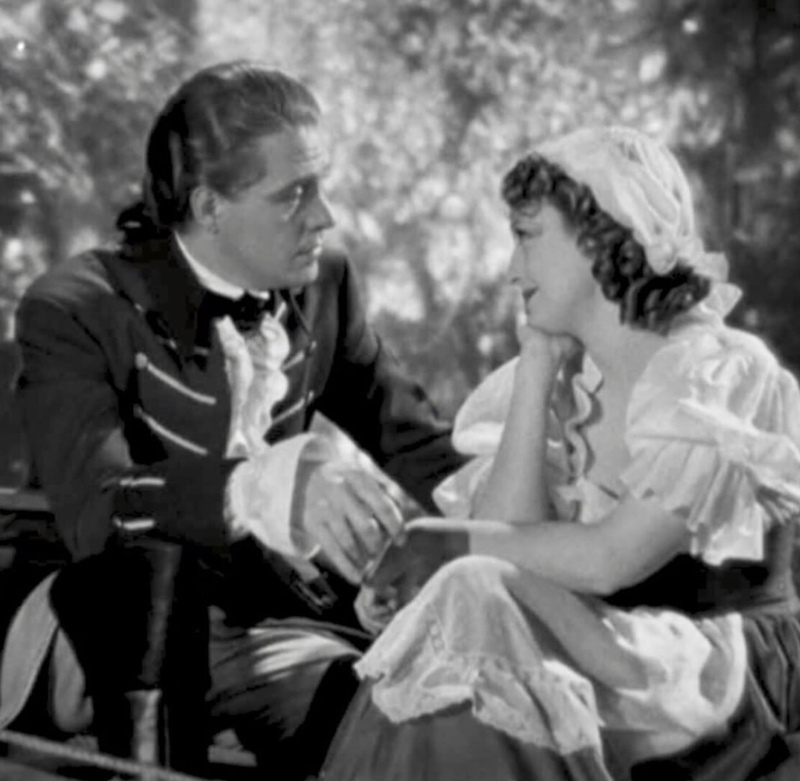 Two: her off-screen romance with Nelson Eddy began to overrule her career and life decisions. Every subsequent film during her heyday had a melodramatic real-life saga going on behind the scenes. 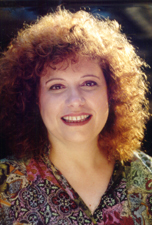 The light, airy comedienne was rarely seen again. For comparison, note the difference in Katherine Hepburn in films like Bringing Up Baby or The Philadelphia Story where she is a brilliant, zany comedienne. But her comedies with Spencer Tracy have a different dynamic. There is a deeper emotion between them, a certain gravitas behind the comedic lines, the sense that we are intruding on and watching their foreplay onscreen. Such intimacy is preciously apparent in comedies such as Pat and Mike, for example, but the blur between real life and their onscreen characters makes it impossible any more to just be actors. 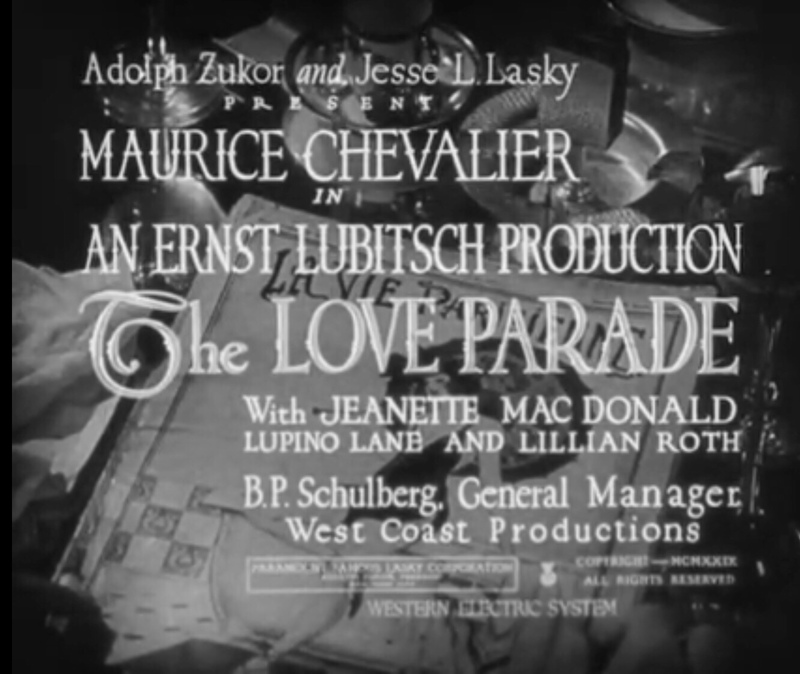 So it was with Jeanette and Nelson in their films together. 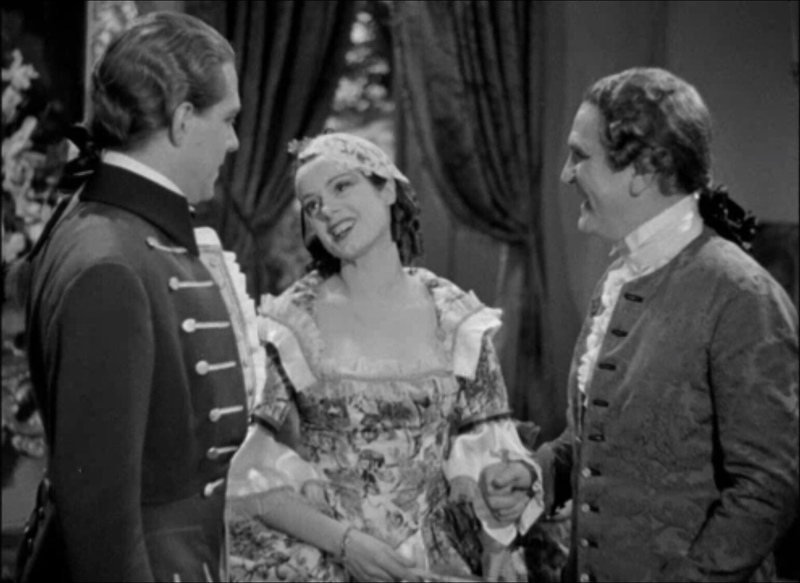 Naughty Marietta caught Jeanette and Nelson’s initial romantic spark with the charm and joy of new love. Going forward, life became complicated and serious for them and we can watch these changes unfold in the subsequent films. I always recommend that, if possible, one watches all 8 of their films in sequence. 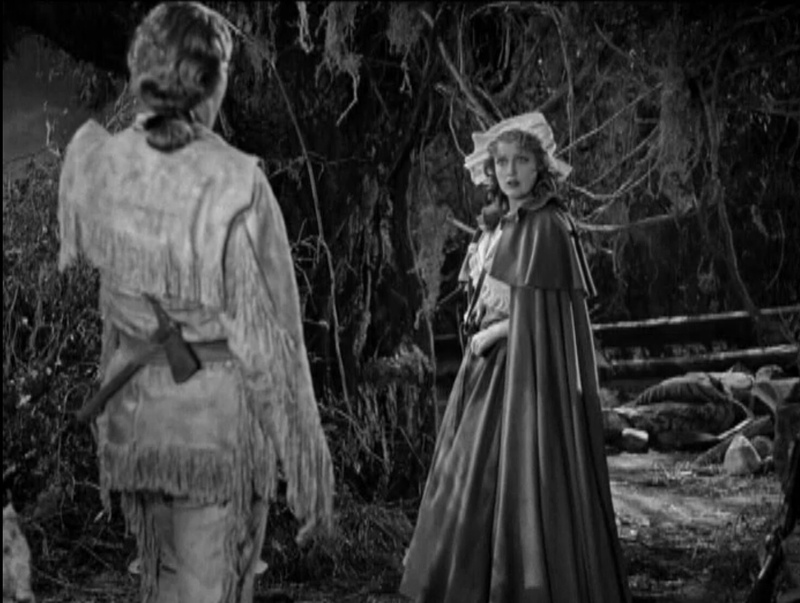 Many people consider Naughty Marietta the best Mac/Eddy film and truly, it’s not difficult to understand why. It holds up beautifully today; long may it wave! © 2018 by Sharon Rich, all rights reserved. The above quotes and references from book passages are from Sweethearts (© 1994, 2001, 2014 by Sharon Rich) also available at Amazon as a Kindle or softcover. 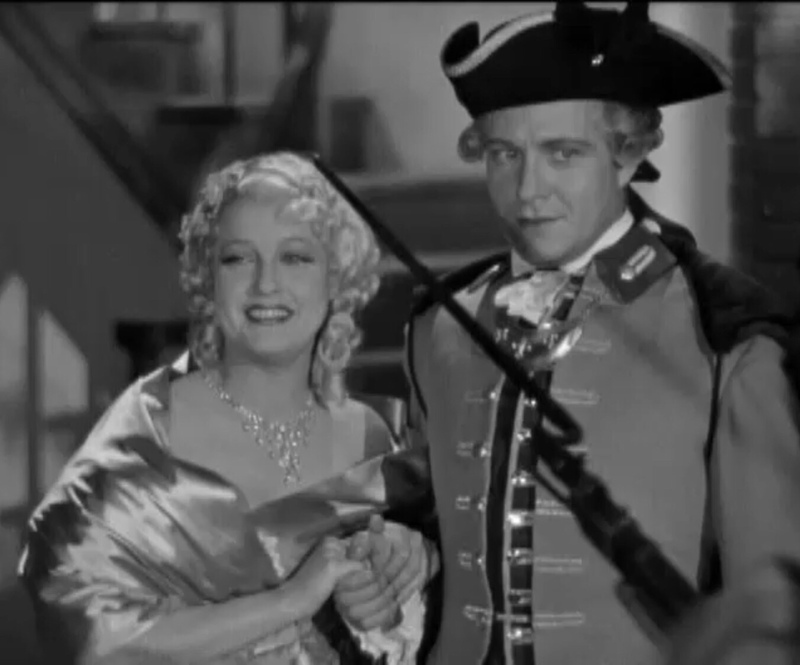 Live Blogging TCM’s Jeanette MacDonald & Nelson Eddy Marathon April 17! 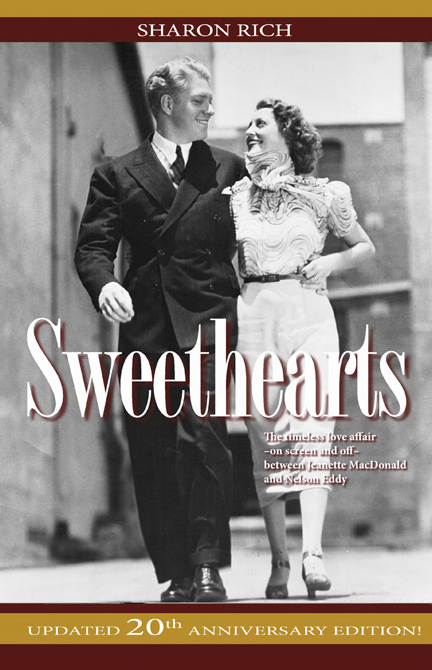 “Sweethearts” Kindle on Amazon Best Seller List!